Secure, Easy & Affordable Parking at Doncaster Airport. 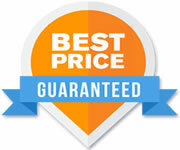 Best Price Guaranteed & No Booking Fees Online! Book Now With AirportParkingMarket.com Compare multiple Doncaster airport car parks in one search, book online and save up to 60%! The added bonus of booking your airport parking at Doncaster Airport through AirportParkingMarket.com is that you can also be sure that you will be paying the cheapest possible price.